We offer home decor that is so much more than an accent. We develop unique items of exceptional quality you can feel good about giving as gifts—or having in your own home. We seek details like hand-carved stone or wool from American ranches, and bring you items you can't find anywhere else. Read on for three of our favorite gifts with stories you'll be proud to share. 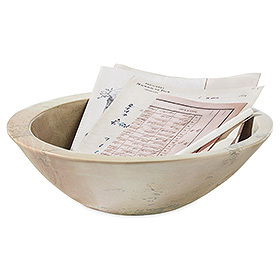 These asymmetric soapstone bowls are handmade by artisans in Kenya through Ten by Three®. Each bowl takes two full days to cut, carve and polish by hand. Artisans in Ten by Thre receive at least 2.5 times the Fair Trade Wage, helping them provide for their families and invest in their own businesses. 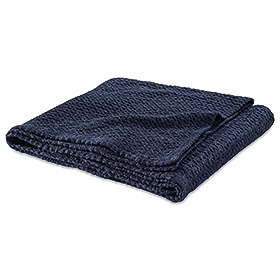 The yarn for this pointelle pattern throw comes from alpacas and sheep raised on sprawling ranches in Oregon; the fleece they produce is exceptionally soft and smooth. After shearing, the yarn is woven and finished in New England. Thanks to textile artisans from coast to coast, these exclusive throws tell a uniquely American story from start to finish. 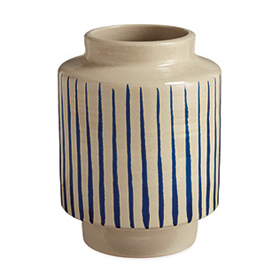 These contemporary ceramic planters are hand-thrown and glazed by the artisans at Red Wing Stoneware & Pottery. Master potters create these beautiful, functional pieces from stoneware clay using traditional techniques combined with modern forms. The Minnesota company has been crafting stoneware pieces since the mid-1800s.